Arsenal have been pushed out to 7-2 to finish in the Premier League's top four after twice fighting back to draw 2-2 with Manchester City at the Emirates. 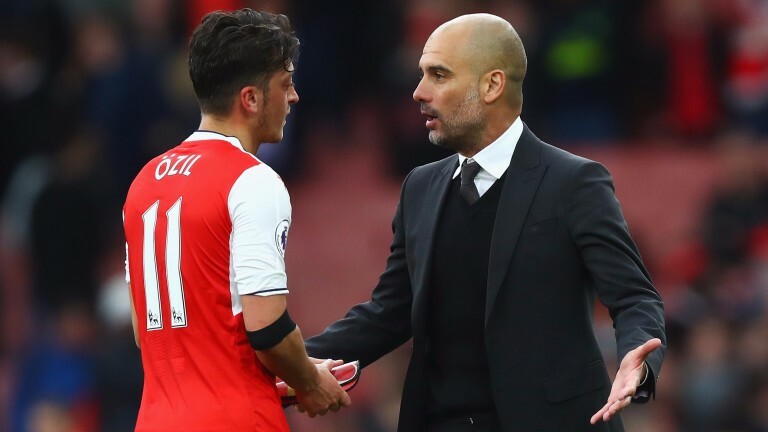 The result was not ideal for either club and it leaves Arsenal with plenty of work to do to reach next season's Champions League as the Gunners remain seven points behind fourth-placed City with a game in hand. It could have been worse for Arsenal but goals from Theo Walcott and Shkodran Mustafi pegged City back after strikes from Leroy Sane and Sergio Aguero put the visitors in front. City's failure to hold on has almost certainly put an end to any talk of launching a late title bid - Pep Guardiola's side are out to 28-1 to be crowned champions and are 11 points behind leaders Chelsea, who they play on Wednesday. A top-four finish would have been seen as the bare minimum target for City at the start of the campaign and they hold a five-point buffer on Manchester United, who like Arsenal, have a game in hand. Hills have clipped Arsene Wenger from 6-4 to 5-4 to leave Arsenal before the start of next season and the Frenchman is 4-7 to remain. The Gunners are 6-4 with bet365 to finish sixth this term and it's 6-1 they end the campaign seventh or worse. Swansea and Middlesbrough played out a goalless draw at the Liberty Stadium which saw both cut in the relegation market. Boro are only 1-6 to go down, while Swansea can be backed at 9-4. Celtic claimed their sixth consecutive Ladbrokes Scottish Championship crown and they did so in some style with a 5-0 thrashing of Hearts at Tynecastle. Hills make Celtic 1-7 to be in seventh heaven by the end of next season with Rangers available at 7-1 to win the title in 2018. Bhoys boss Brendan Rodgers is 1-5 to remain at Parkhead for the start of the 2017-18 term and 100-30 to depart. Celtic had been 6-17 ante-post but have romped to the title and are 25 points clear of nearest rivals Aberdeen.